Steele Creek Lakewood Ranch Home Lake View Home Available! Ready to move into a new home in desired 55+ Community, on a lake. This home is available now! Don’t Wait. 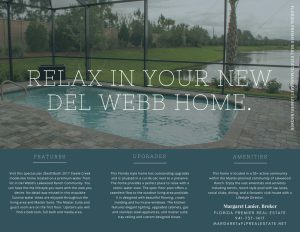 Margaret is the owner and broker for FL Premier Real Estate.